STUNNING VELVET FINISH. · Ø ARTS AND CRAFTS. Top Quality Heavy Cotton Blend Fabric. · Ø CLOTHING / FASHION. · You will get one continuous piece as material is cut directly from the roll. · Ø DRESSES / PARTY WEAR. Self Colour Striped Flecked Weave Design. Cerise Pink Colour. 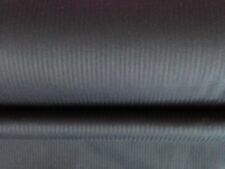 Textured Polyester Crepe Fabric. · You will get one continuous piece as material is cut directly from the roll. · Ø DRESSES / PARTY WEAR. Jersey Crepe Fabric. Navy Blue Printed Stripes on an Off White Background. 4 Way Stretch. High quality stretch viscose jersey printed fabric. Striped Print. You will get one continuous piece as material is cut directly from the roll. Excellent material for various uses. Ø DRESSES / PARTY WEAR. 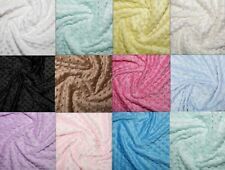 Viscose Jersey Fabric. Teal & Off White ‘knitted in’ stripe design with a Two-Way Stretch. Light Weight Jersey. 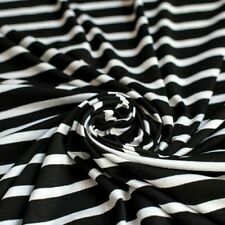 High quality 4 way stretch spandex lycra jersey fabric material. · You will get one continuous piece as material is cut directly from the roll. Abstract/Leaves Print. · Ø DRESSES / PARTY WEAR. Georgette Floral Daisies Print Dress/Craft Fabric. · You will get one continuous piece as material is cut directly from the roll. · DRESSES / PARTY WEAR. · Excellent material for various uses. Cheapest F abrics UK. Georgette Multicolour-White-Pink Striped Print Dress/Craft Fabric. · You will get one continuous piece as material is cut directly from the roll. · DRESSES / PARTY WEAR. · Excellent material for various uses. Two sided Ponte de roma fabric has small pin stripe 1.25cm stripe on back side and small solid leaf green and white 1.25cm stripes on front so you can use either side! Has a very subtle horizontal texture. Stretch Scuba Bodycon jersey printed Fabric Material. Scuba fabrics is 100% polyester cloth that is stretchable and wrinkle resistance. Tiger Stripes Print in Stunning Maroon Base Colour. · You will get one continuous piece as material is cut directly from the roll. High quality stretch viscose jersey printed fabric. Large African-Damask Design Print Stunning Colours. · You will get one continuous piece as material is cut directly from the roll. · Ø DRESSES / PARTY WEAR. 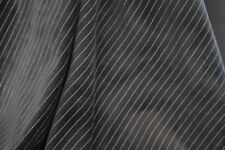 Black Striped Polyester/Rayon Bengaline Suiting. Bengaline is a woven strong durable fabric with a one way stretch. Plain Black With Gold Stripes. · Ø ARTS AND CRAFTS. · You will get one continuous piece as material is cut directly from the roll. 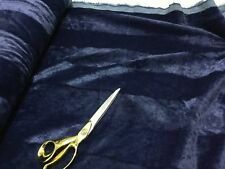 High quality stretch Poly viscose single knit jersey fabric material. You will get one continuous piece as material is cut directly from the roll. Ø DRESSES / PARTY WEAR. Ø CLOTHING / FASHION. Kind Regards. 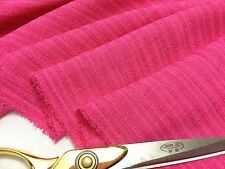 This listing is for Bio Oeko-Tex Standard 100 Certificated (Tested for harmful substances) Half Metre of Quality 95% Cotton 5% Elastin Fuchsia Cerise Pink Rainbow Stripe pixelated 210g/m2 weight 150cm wide Your fabric will be cut in one continuous piece. Love this print! Gradient rainbow stripes in different gradient hues of blue & green on a super soft brushed cotton rayon spandex blend knit. Fabric is lighter weight, with a 4 way stretch, and nice drape. 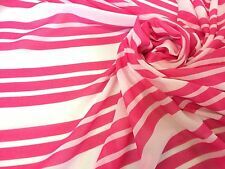 Cerise Pink Colour Textured Polyester Crepe Fabric Self Colour Striped Flecked Weave Design Lightweight & Drapey. · You will get one continuous piece as material is cut directly from the roll. · Ø DRESSES / PARTY WEAR. Printed Viscose Jersey. Dark Navy Blue Stripe on a Pale Blue Background. Stripe Design. Two Way Stretch. Stretch Scuba Crepe textured feel Bodycon jersey fabric material. Scuba fabrics is 100% polyester cloth that is stretchable and wrinkle resistance. Striped Print in Stunning Pink-Purple-White-Black Colour. Collection station availableColour: WhiteMaterial: CrepeWidth: 60"
Season perfect colour navy blue and white smaller stripe cotton jersey knit. Fabric is soft, slightly sheer, and drapey with a small stretch, light weight. Content: 100% Cotton Jersey. Weight: 170 g/m2. Georgette Multicolour Striped Print Dress/Craft Fabric. · You will get one continuous piece as material is cut directly from the roll. · DRESSES / PARTY WEAR. · Excellent material for various uses. High quality Stretch Poly Pocket Ribbed Jersey fabric. Striped Knit. 2 Way stretch. You will get one continuous piece as material is cut directly from the roll. Excellent material for various uses. 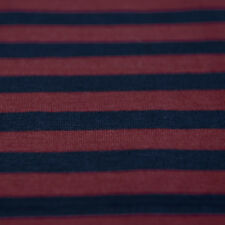 Season perfect colour navy blue and white stripe cotton jersey knit. Fabric is soft, slightly sheer, and drapey with a small stretch, light weight. Content: 100% Cotton Jersey. Weight: 170 g/m2. Beautiful Smooth Drapey Soft Touch. 100% Polyester Fabric. You will get one continuous piece as material is cut directly from the roll. Striped Double - Border Print in Stunning. Ideal fashion fabric. 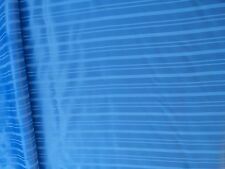 Yellow Blue White Cream Stripe 100% Cotton quilting craft Fabric 60"